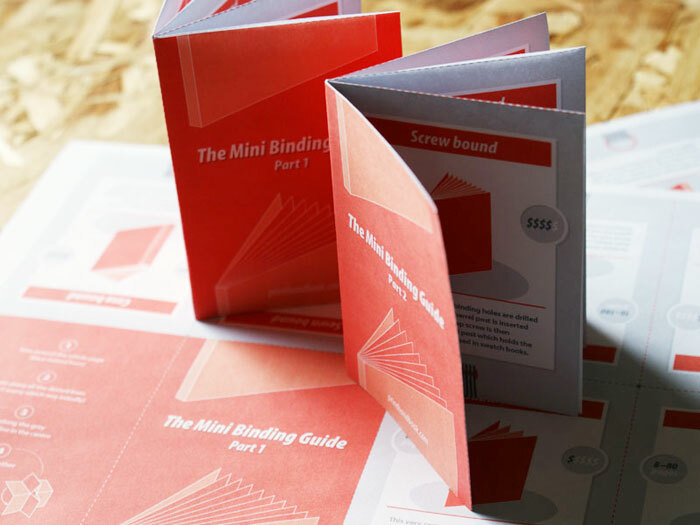 We've made two little 8 page guides for you with details about common binding techniques. 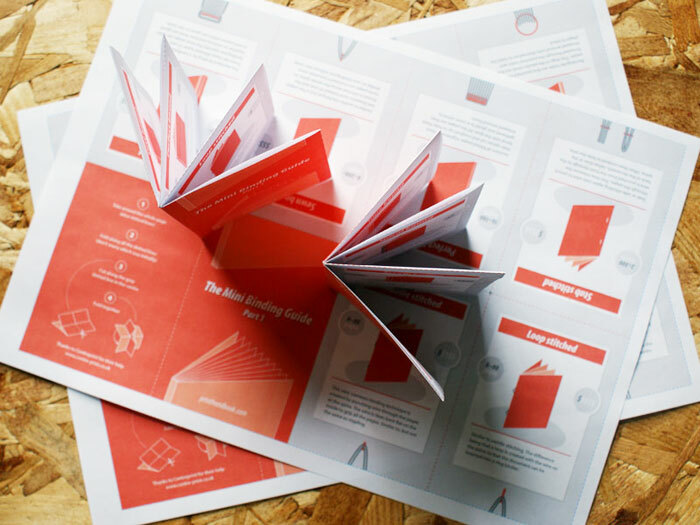 You can download the PDFs, print them out yourself and make into little booklets. They are completely free to download, but we would love you to click the like button or mention us on Twitter. Cheers. 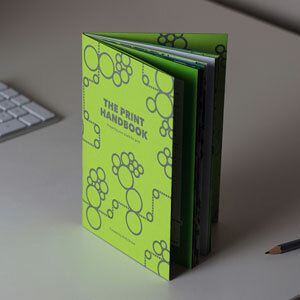 You might also want to check out our Print Handbook. It's full of loads of handy information too. A little extra info: The calculations on the number pages/leaves that each binding method can accomodate is based on 100gsm paper. The guides are simple to create and there are brief instructions on one of the panels on each PDF. All you need is a printer and some scissors (or knife and ruler). If you're stuck on the folding then this YouTube video uses the same folds.